REISSUEFinally there is a quick, easy and comprehensive program to help you achieve healthy, vibrant and youthful skin in 30 days!A revolution in nutrition, the 30-day Gorgeous Skin lifestyle program debunks all the beauty mythsof our time, showing you how to be beautiful from the inside out. Using up-to-date clinical research you'll find information on all the latest antioxidants, vitamins, minerals and supplements to slow down the ageing process and to improve the texture, tone and health of your skin. It also includes valuable lifestyle management tools and relaxation techniques to help you maintain lifelong health, beauty and vitality. The program includes:* A safe three-day cleansing and detoxification plan to rid the body of toxins, eradicate blemishes, reduce fine lines and create an even skin tone. * All the current information on skin superfoods and nutritional supplements for anti-ageing and wrinkle fighting to enhance repair and regeneration of your skin cells, subdue inflammation and boost collagen production. * Hundreds of delicious new recipes, facts and healthy skin tips as part of a complete program for natural health and beauty. * How to identify and use the skin protectors to reverse or slow the ageing process and avoid harmful food, lifestyle and environmental factors that accelerate ageing. 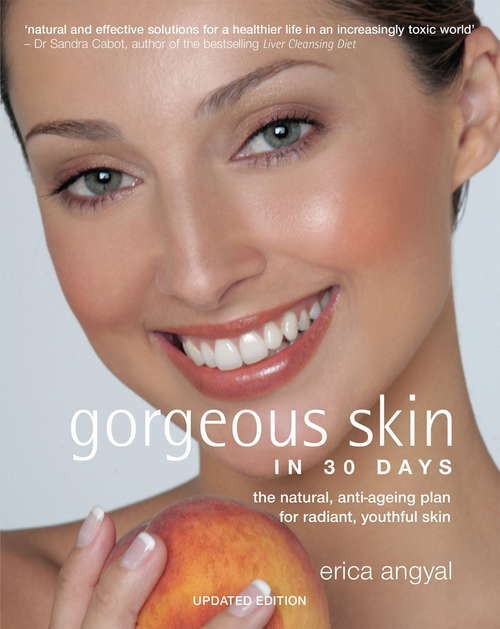 * A 28-day beautiful skin plan for the bride-to-be or anyone who wants to prepare for a special occasion. 'Erica gives you the secrets of beauty from within. If you follow her dietary and lifestyle recommendations, your skin will show the difference within 30 days. 'Dr Barry Sears, author of The Zone'Those really interested in vital skin will find this book compelling and entertaining. 'Dr Mike Roizen, author of New York Times #1 bestseller Real Age: Are You As Young As You Can Be?